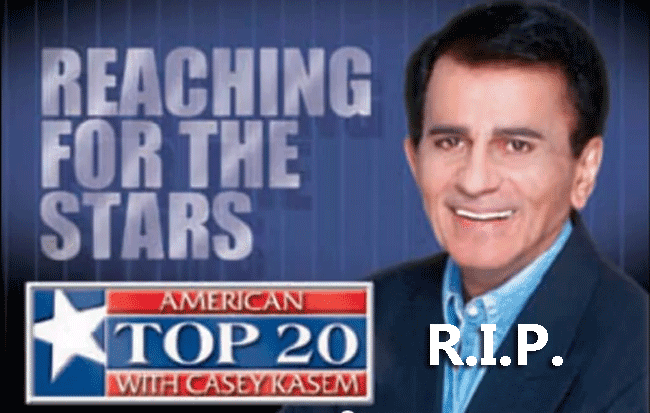 This world has lost another great mind in the person of Casey Kasem who died last June 15, 2014 at the age of 82. According to reports Kasem died at St. Anthony’s Hospital in Gig Washington on June 15, 2014 and that was Sunday. We have known him as the one who voiced Shaggy of Scooby-Doo and also the responsible for the American Top 40 Countdown, American Top 20 Countdown and also American Top 10 Countdown. Kasem is a professional disc jockey and he worked as an actor and radio personality as well. When it comes to films, Casey appeared in many of them including The Glory Stompers, Garrison’s Gorillas, The Batman/Superman Hours, Wide Wheels, The Cycle Savages, Skyhawks, Hot Wheels, Blue’s Clues, Histeria!, Shaggy and Scooby Doo Get a Clue and many more. It was in the mid 1960s that Kasem started his television career. Since then, there were so many doors of opportunity that opened to him that eventually made him famous. He also performed voice commercials on Oscan Mayer, Velveeta, Chevron, Dairy Queen, Continental Airlines, Ford and many more. This shows that Kasem has so many gifts and talents to offer. Personally, Kasem’s real name is Kemal Amin Kasem who born on April 27, 1932 in Detroit, Michigan, U.S. He finished his education at Wayne State Univesity. He was married first to Linda Myers in 1972 and later on they got divorced in 1979. Kasem then married Jean Thompson in 1980 and they were together up to his death.